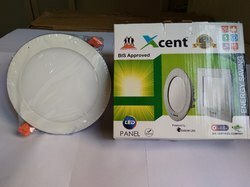 ''xcent" led lighting encompasses the complete range of led lighting such as led panels, led downlighters, led spotlights, led floodlights,highbay lights, streetlights, general lighting, track lights and others. 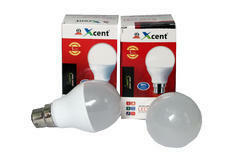 We offer 2 year warranty and most of the products are made in India. 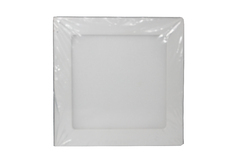 We also offer attractive packing. The products are engineered and designed in such a way to give long term reliable perfermance with great aesthetic looks. 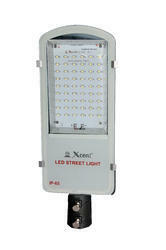 xcent led streetlight in die cast housing with very heat sink, toughned glass and others. 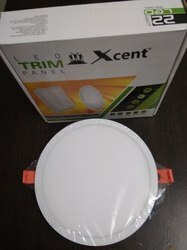 Used for general lighting for fitting in false ceiling. 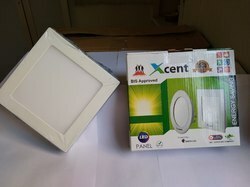 Led colours available cool white. 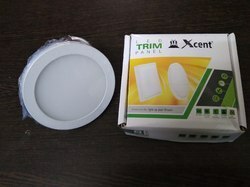 Led Housing colour is white powder coating.